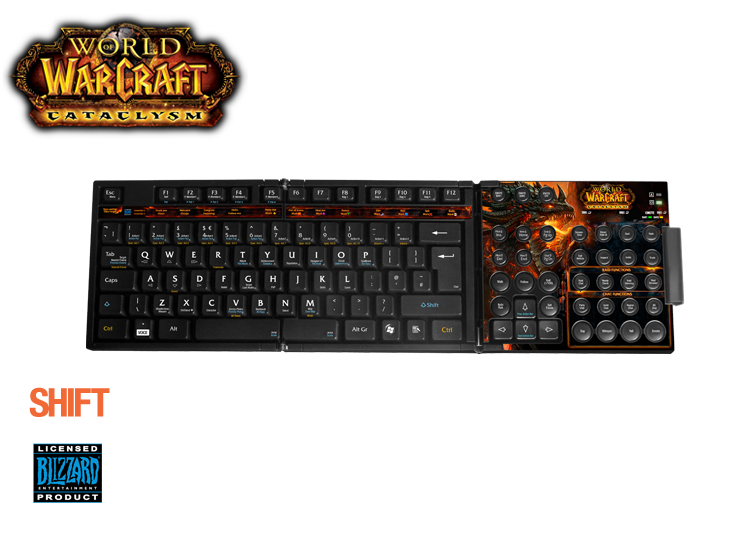 SteelSeries Unveils Gaming Peripherals for World of Warcraft: Cataclysm. 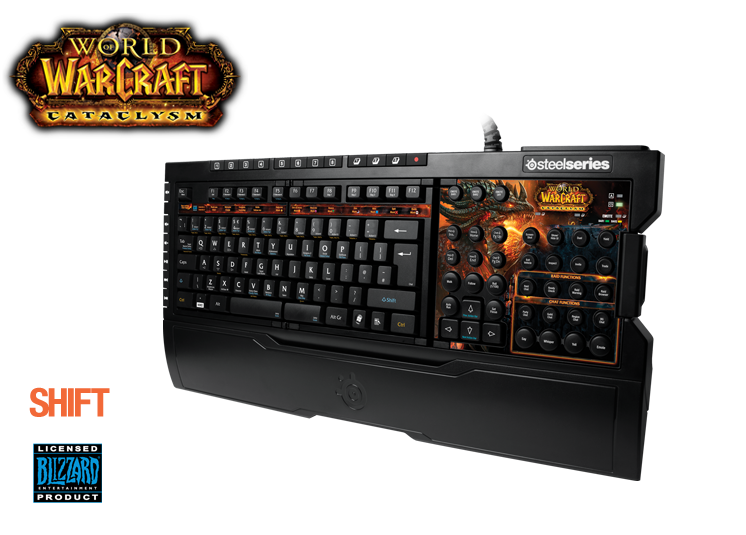 As we gear up for BlizzCon’s doors to open tomorrow, SteelSeries has unveiled a new line of World of Warcraft: Cataclysm licensed gaming peripherals that will be on display in their booth on the show floor. 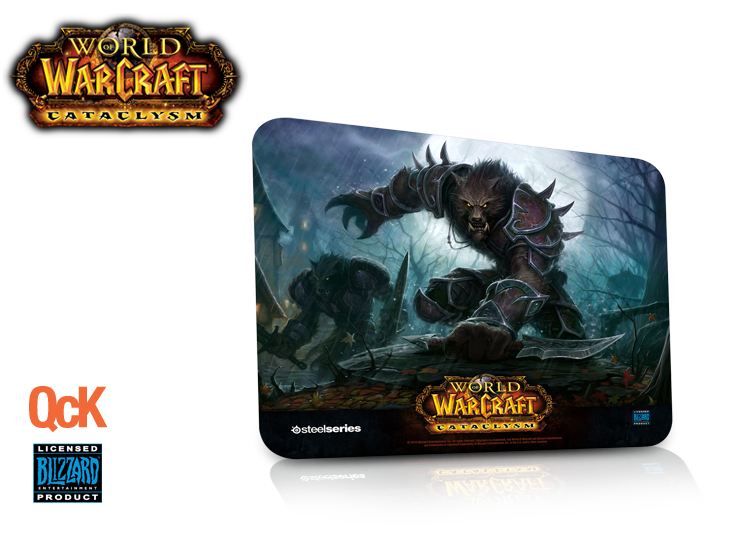 The set starts with the Cataclysm MMO Gaming Mouse, which features a 14-button layout, custom macro functionality, character-specific profiles, and more. 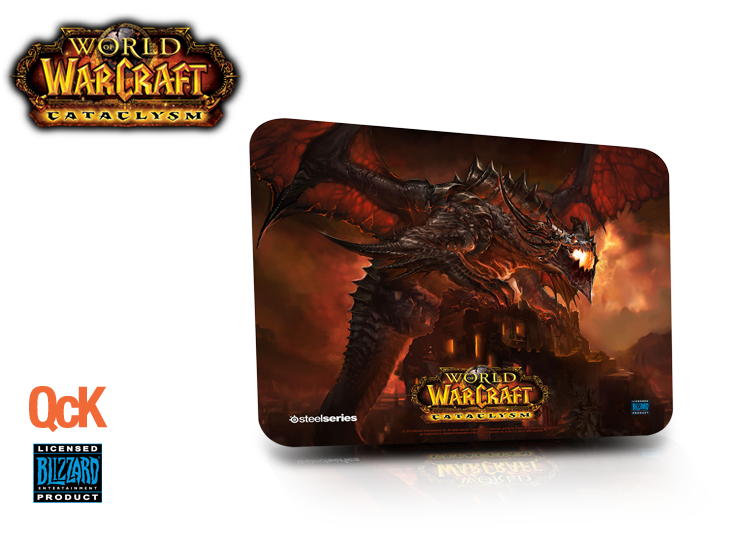 Three new designs for the popular QcK line of mouse pads will also be available, showing Deathwing the Destroyer and the new worgen and goblin races. Finally, a Cataclysm-specific keyset for the SteelSeries Shift gaming keyboard rounds out the line of peripherals, and will be available on its own or in a bundle with the Shift base and standard QWERTY keyset. 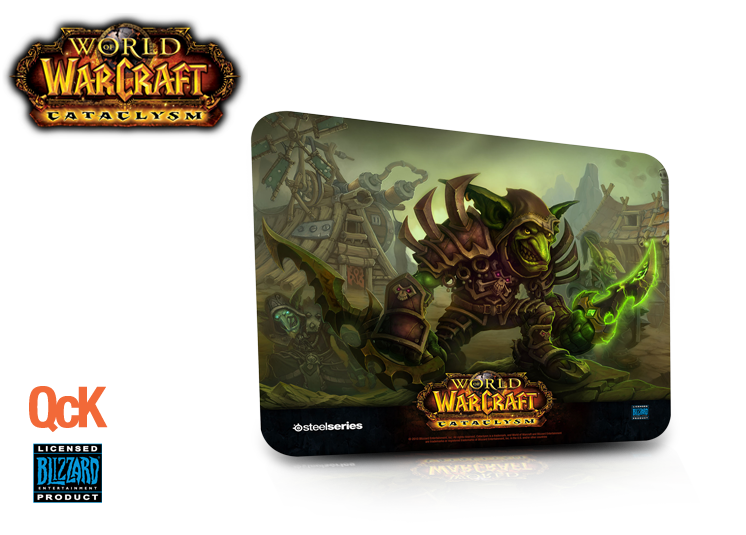 For more information on all of these products, head over to http://steelseries.com/cataclysm.